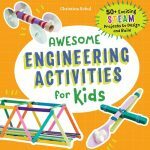 Robot crafts are always fun for kids. 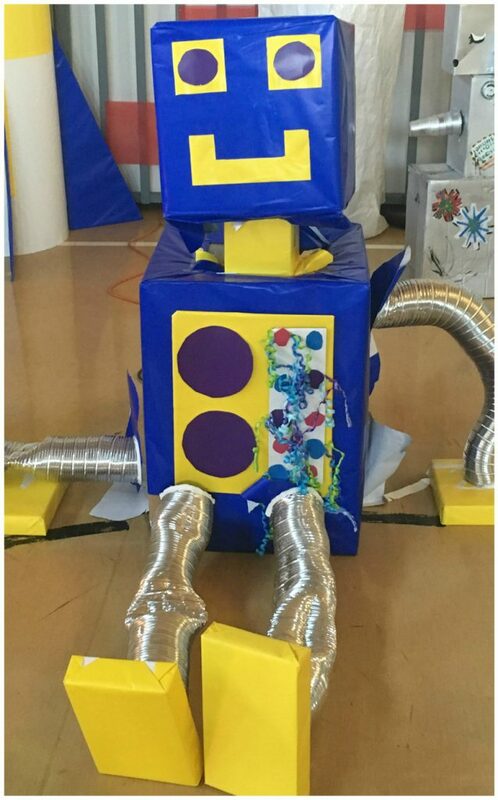 Last year our church Vacation Bible School made big cardboard box robots to decorate for Fun Maker Factory. The robots were super creative and so fun to look at. 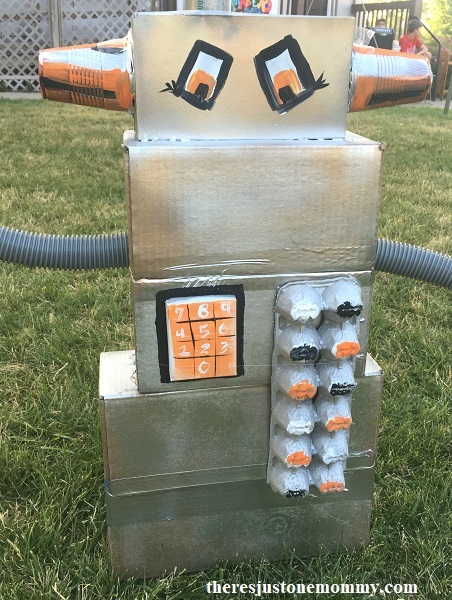 We decided cardboard box robots would be a fun kids recycled craft to do at home, too. 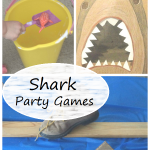 Affiliate links have been used below. Find my full disclosure policy here. 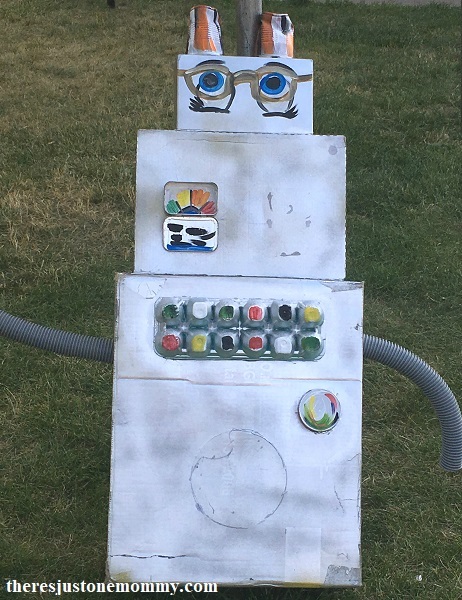 Making cardboard robots is not only fun, it’s also a great way to recycle those packing boxes. Start by stacking your boxes to form the body of your robot. You might choose to put the largest box on the bottom (like the robot below), or you might use two smaller boxes on the bottom like legs. Move the boxes around until you are happy with how it looks. Then use your hot glue gun to secure them together. To give your robot a metallic look, spray the boxes with silver spray paint. Next, add details to the robot. 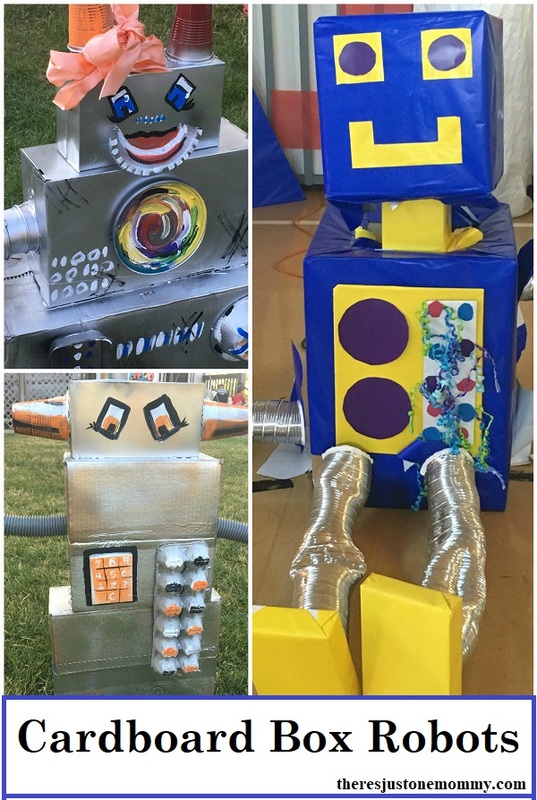 Try adding the bottom of an empty egg carton to form buttons, like the robots in the pictures below. Paper plates and bowls, cardboard tubes, and other small boxes can also be used to add detail to your robots. Once you have all the pieces glued together, use acrylic paint to give your robots a touch of color. Colored duct tape is also a fun way to add details. You may just find that you just can’t stop with one robot! 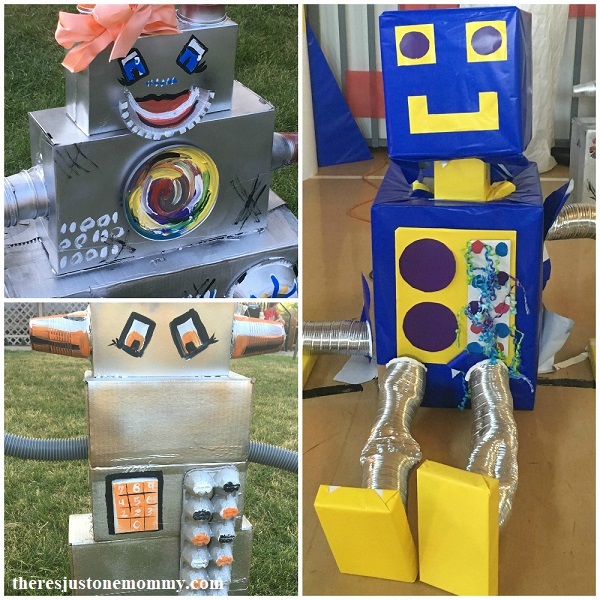 Making these large cardboard box robots is lots of fun for kids. Each one turns out so differently. 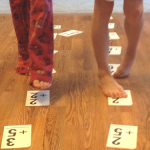 Afterwards the box robots can be used for hours of pretend play. 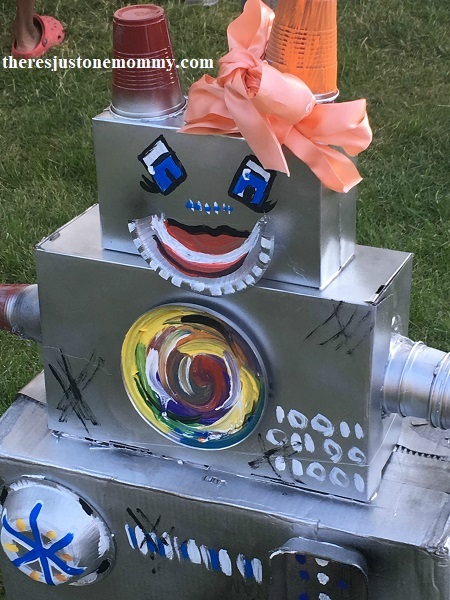 They also make cute decorations for a robot party or even decorations for Fun Maker Factory themed VBS. 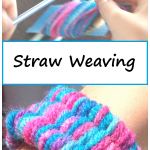 Get more fun ideas like this delivered to your email by subscribing to our twice monthly newsletter.